Our entire team is committed to providing advanced vision care in a professional and comfortable environment. We understand that your time is precious and that you need an optometrist who is professional, yet convenient for your lifestyle. Our contact lens exams include questions about your lifestyle and the various options available to you. LASIK is popular because it is a quick procedure with a high success rate. There are several different methods of reducing the progression of myopia in children, with different levels of scientific support. Welcome to Plaza Vision Center, the Dallas office of Dr. Clarke Newman, optometrist. We appreciate your interest in our downtown Dallas optometrist office. 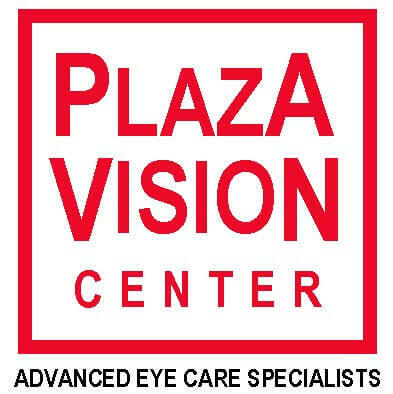 Plaza Vision Center is a specialty eye care practice that has served the North Texas area for sixty years. We always accept new patients. Founded by optometrist, Sanford Pick, OD, FAAO (1923—2006) over sixty years ago, Plaza Vision Center has provided state-of-the-art care to patients in need of an routine eye exam. Dallas residents can visit us for various eye care needs: glasses, contact lenses, management of eye disease, vision correction surgery consultation, and the vision rehabilitation of corneal diseases and failed vision correction surgeries. Exceptional expertise in special contact lens fitting. Always thorough. Always great at answering questions. I am a better patient because of their patience. Great place! I've never been tested for depth perception or color-blindness before. Very friendly staff and Doctor Newman and Doctor Lee did a fantastic job with my exam. Troy helped me with my glasses selection. I loved that he wasn't trying to force the more expensive frames on me. My appointment went quickly since I was able to submit my client form online on their website. I have been using this Doctor for four years. Great experience - highly recommended. Very thorough and fair pricing. Great staff too! I work in a nearby building and scrambled to get over to the Plaza after losing a screw on my glasses very late in the day. With fingers crossed, I rushed over hoping to find them open. Not only were they still open, but they were more than helpful in fixing my glasses. And for free! I had not required their service in the past, however, I will give them my business in the future. Thank you so much for the help!